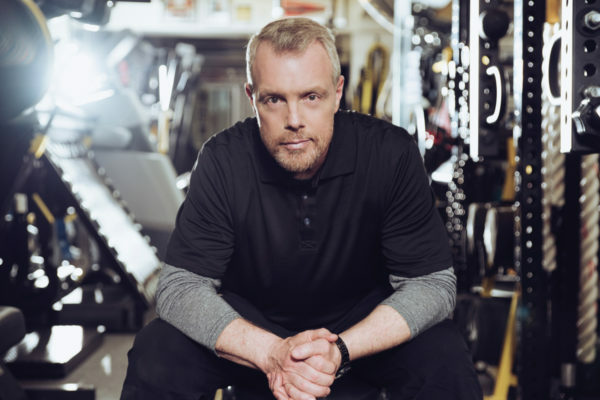 Gunnar Peterson is a Beverly Hills-based personal trainer whose clients include celebrities, professional athletes, and everyday people. Gunnar is also the Los Angeles Lakers’ Director of Strength and Endurance. He is widely recognized for his expertise in functional training and his commitment to developing and implementing innovative fitness techniques. With over 28 years in the fitness industry, Gunnar’s dynamic approach, boundless energy and (sometimes risky) humor only add to the effectiveness of the experience his clients enjoy. With a client list as diverse as his training methods, Gunnar emphasizes strength training modalities that can be transferred from the gym to daily life, from training camp to championship game. He has worked with athletes from the NBA, NHL, NFL, MLB, USTA, professional boxing (male AND female!) and various NCAA sports. Many film and television celebrities have also sought Gunnar’s guidance in preparing for roles and have stayed on to become year-round clients, making him a cornerstone of their fitness regimen. Gunnar’s innovative approach and his devotion to pursuing and communicating only the most credible and effective fitness information have resulted in several corporate partnerships and business opportunities. Gunnar currently enjoys relationships with Propel/Gatorade, Adidas , SmartFit, MitoQ and SleepScore Labs. After piecing together countless gyms for clients over the years, in 2016 he officially launched his Gunnar Gym Design company in order to bring his training style to life worldwide, as it is in his Beverly Hills gym. His residential as well as commercials gyms are well received in the US and abroad. In 2017 Gunnar partnered with the Dream Hotel Group and designed a Gunnar gym in their Hollywood location. He is the developer of Core Secrets, a project done with the Gunthy-Renker Corporation, that is an 18 DVD fitness system featuring full-body and body-part specific workouts focused on strengthening the core of the body. In the Spring of 2010, Gunnar released, in partnership with Giam and Shape magazine, the ‘Best Ever Hollywood Workout’ DVD. He released his first book, G-Force, in January 2005 (Regan Books). Now out in paperback as The Workout, the book is about training, making it a part of your life, creating and maintaining a positive mindset, as well as improvising to keep workouts effective and interesting. Through his own fitness product development company, Outside Shot, Gunnar has created The Bottom Line™, a total body exercise machine, The RAC™, an accessory that incorporates weighted upper body work with Spinning®, and Hoop Hands™, a basketball-specific resistance training aid. Gunnar is certified by the National Strength and Conditioning Association and is a graduate of Duke University. He is an editor and wrote a regular column for Muscle and Fitness magazine for over a decade, he is on the advisory board for Fitness magazine as well as contributor to Clean Eating magazine. Gunnar is also regularly featured in Allure, Elle, In Style, In Touch, Us, Men’s Health, Women’s Health, Self, and other magazines. His television appearances include The Today Show, Fox & Friends, CNN, CNN Headline News, The Big Idea with Donny Deutsch, Extra, Keeping Up With The Kardashians, Lala’s Full Court Life, Revenge Body and numerous shows for E! and VH1. Gunnar resides in Beverly Hills with his wife, 4 children and 3.5 dogs.